On 15 February 2012, the Supreme Court handed down judgment in the case of Sugar (deceased) v BBC & Anor, the long-awaited conclusion of a dispute that has been ongoing since 2005. Unanimously dismissing the appeal, the Supreme Court rejected the submission that information would only fall outside the scope of the BBC’s obligations under the Freedom of Information Act 2000 if it was held exclusively for the purposes of journalism. Such an interpretation was held to be too restrictive, and would disproportionately inhibit the ability of public service broadcasters such as the BBC to function without the threat of having to publicly disclose information. This case results from a freedom of information request made by Stephen Sugar (a Londonsolicitor who is now deceased) in respect of the Balen Report, a report commissioned by the BBC into its own news coverage of the Middle East. The BBC refused to comply with the request, relying on the exception set out at Schedule 1 of the Act which states that the BBC is only compelled to disclose information “held for purposes other than those of journalism, art or literature”. It was the BBC’s position that the Balen Report had been produced for the purpose of reviewing the journalistic coverage ofMiddle East affairs, and consequently fell outside the ambit of the BBC’s freedom of information obligations in accordance with Schedule 1. The main issue before the Supreme Court was therefore the correct construction of the provision in Schedule 1 and the way in which this test ought to be applied in practice. For the full background of the case and previous decisions see the case preview here. A five-justice panel of Lords Phillips, Walker, Brown Mance and Wilson unanimously dismissed the appeal, despite adopting slightly different positions on the correct construction of the Schedule 1 provision. information held exclusively for journalistic purposes. As identified by Lord Walker (para. 73), the Appellant was seeking disclosure of categories 1-3 above, whereas the BBC submitted that only category 1 (the primary contention) and at most category 2 (the BBC’s secondary contention as a form of concession) would fall to be disclosed under the Act. 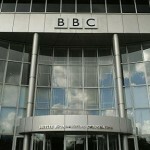 The High Court and the Court of Appeal had previously rejected both the Appellant’s submission and the BBC’s secondary contention, upholding the BBC’s primary contention and finding that Schedule 1 only required the BBC to disclose information falling within category 1. The information need only then be held to any ‘significant degree‘ for the purposes of journalism (subject to the de minimis principle; see Lord Brown at para. 104). This approach was further endorsed in the judgments of Lords Phillips, Mance and Brown, each of whom reaffirmed the broader approach adopted by both the High Court and Court of Appeal. 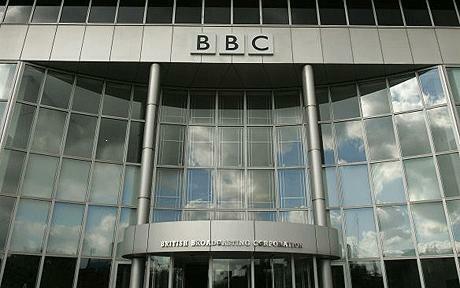 In setting out the rationale for this approach, both Lords Phillips and Walker placed particular emphasis on the importance of allowing the BBC to function in its role as a public service broadcaster, drawing comparisons between the implications for the BBC of such a burdensome duty of disclosure and the freedom with which competitors in the commercial media could continue to conduct their business. As stated by Lord Phillips, the predominant public interest here was not freedom of access to information, but that public broadcasters ‘be free to gather, edit and publish news and comment on current affairs without the inhibition of an obligation to make public disclosure of or about their work in progress’ (para. 78). Although four of the five justices reached a consensus on the rationale for the dismissal of the appeal, Lord Wilson reached the same decision by slightly different means. Dismissing the concerns that Lord Neuberger had previously expressed about the uncertainty of adopting the ‘dominant purpose‘ approach (referred to in the case preview as the halfway approach), Lord Wilson suggested that had Parliament fully considered the implications of information held for multiple purposes, they too would have preferred this approach. Notwithstanding his differing view on the construction of Schedule 1 of the Act, Lord Wilson still considered that journalism had been the dominant purpose of the Balen Report, and dismissed the appeal accordingly. The potential implications of the broad interpretation of Schedule 1 advocated by the majority of the Supreme Court were also considered. An institution such as the BBC is inherently concerned with journalism; almost all information it produces could reasonably be deemed to be for the purposes of journalism and therefore not be disclosable under the broader approach. It would not however be logical to fully exclude the BBC from the scope of the Act- if this had been the intention of Parliament then the Act would have excluded the BBC in its entirety. This was something that had been considered by both Irwin J in the High Court and Lord Neuberger in the Court of Appeal, the former noting that ‘the cost of cleaning the BBC Boardroom is only remotely linked to the product of the BBC‘ (para. 87 of High Court judgment). In turn, Lord Neuberger advocated that the ‘journalistic‘ purpose be construed narrowly, excluding such information as that pertaining to advertising revenue, property ownership or financial debt (para. 55 of Court of Appeal judgment). This potential implication of the broader approach was also acknowledged by the Supreme Court. Building on the views of both Irwin J and Lord Neuberger, Lord Walker opined that the correct approach in ascertaining journalistic purpose was to consider the ‘directness‘ of the purpose, by ‘considering the proximity between the subject-matter of the request and the BBC’s journalistic activities and end-product’. This was a point also made by Lord Phillips, who suggested that ‘information should only be found to be held for purposes of journalism, art or literature if an immediate object of holding the information is to use it for one of those purposes’ (para. 67). So whilst accepting that there could be no hard and fast rule as to what constitutes a journalistic purpose, guidance has been offered as to what should be taken into account when deciding whether or not this is the case. There will undoubtedly be future requests that come before the Information Commissioner which help to further develop the parameters of this evaluation. As an additional submission and secondary issue, the Appellant had also sought to argue that the BBC’s refusal to disclose the Balen Report breached the Appellant’s right to freedom of speech under Article 10 of the European Convention of Human Rights. This secondary ground of appeal was also unanimously dismissed by the Supreme Court. Further, even if Article 10 did give rise to such a right, it would remain ‘open to the State to legislate, as here, a blanket exclusion of any requirement to disclose information held (whether predominantly or not) for the purposes of journalism‘ (per Lord Brown at para. 98). Accordingly, there was no interference with the Appellant’s rights under Article 10 and the Appellant’s secondary contention was dismissed. The extent to which the BBC is required to disclose certain information is an issue that impacts directly upon the way in which it conducts its role as a public service broadcaster. Moreover, this decision will have ramifications for other public bodies referred to in the Act (Lord Wilson referred expressly to several such authorities including the Bank of England at para. 32; see also per Lord Phillips at para. 62), a point that did not go unnoticed by the Court. Whilst the argument pursuant to Article 10 ECHR was something of a non-starter given the previous judicial authorities from Strasbourg, it was important that the Supreme Court provided clear guidance on the scope of Schedule 1 and the way in which freedom of information obligations will apply to public authorities subject to the Act. The broader analysis adopted by the majority of the Court represents a clear and pragmatic approach to what is an inherently ambiguous examination of different ‘purposes‘. As identified by Lord Neuberger in the Court of Appeal, an assessment of what can be considered the dominant purpose is subjective and speculative, and not in keeping with the actual wording of Schedule 1; if Parliament had wanted the relevant purpose to be the dominant one, they could (and would) have specified this in the drafting. The identification of the different purposes for which certain information was compiled is vague enough without requiring an independent arbiter to assign weight to those different purposes long after the event. It is however difficult to reconcile this view with the wording of the Act. As pointed out by Lord Neuberger, had this been the intention of Parliament then it would clearly have been recognised via express reference to the requisite ‘dominant purpose‘ within Schedule 1, which it was not. Further, and whilst Lord Wilson’s consideration of the intentions of Parliament represents admirable judicial deference to the will of the legislature, any assumption as to what Parliament might have intended had it applied its mind to the facts in question is intrinsically speculative. Practically, Lord Wilson suggested that ‘it is easier for the Commissioner and the Tribunal to identify the dominant purpose than to conduct an inquiry into the existence of any purpose’ (para. 55). Such an examination would still however be wholly reliant on ascertaining the range of purposes for which information was created and attaching weight to each, which would require anything from a detailed and thorough examination of years’ worth of documentation to mind-reading. Conversely, the principles of ‘directness’ and ‘immediacy‘ identified by Lords Walker and Phillips respectively constitute a useful attempt to negate the ambiguity of identifying any and all purposes, providing a framework within with the necessary evaluation may take place. The broad approach adopted by the majority of the Court in this instance clearly therefore steers the appropriate course between objectivity, consistency and the discretion which must applied to the idiosyncrasies of each individual matter. Such a framework will undoubtedly be developed further as future requests are made pursuant to the Act and public authorities continue to rely on the exceptions set out at Schedule 1. Leave a reply on "Case Comment: Sugar (Deceased) v BBC & Anor  UKSC 4"